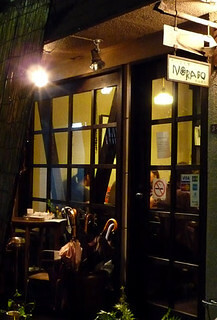 I went to eat dinner to Tabegotoya Norabo in Nishi-Ogikubo with my friends. 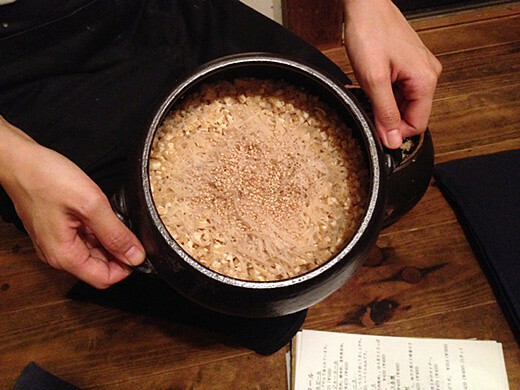 Everything is fine in this restaurant. 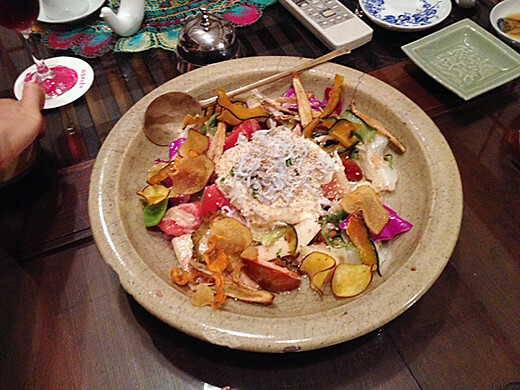 The master hiself is buying fresh vegetable from farmhouse every morning. 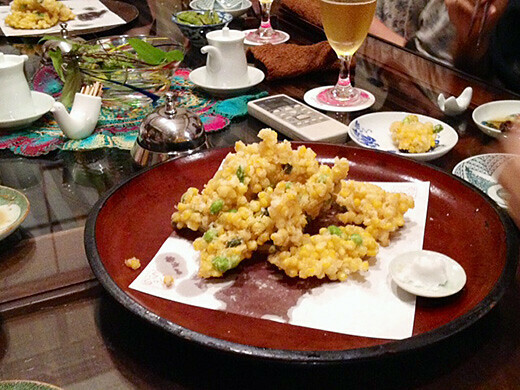 I liked Corn-Tempura a lot. 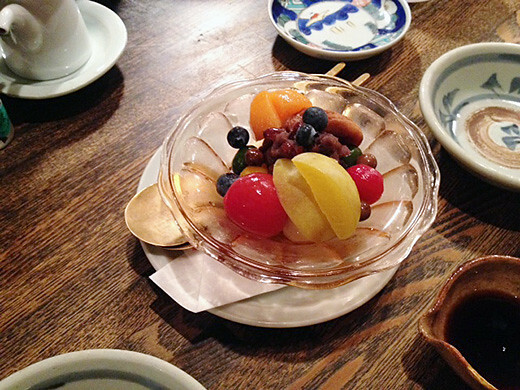 Anmitsu, I ate as dessert is also my favorite. 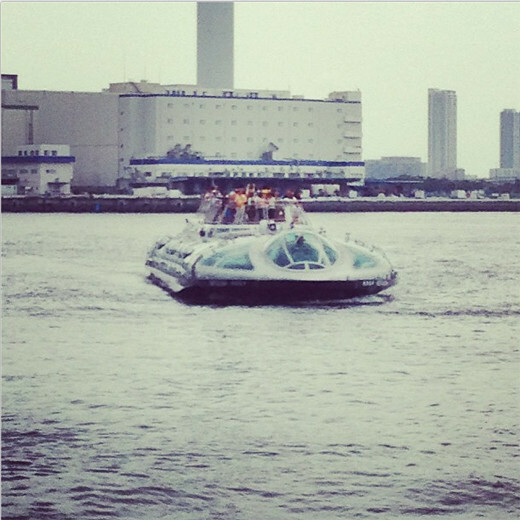 I have ridden HOTALUNA, which is the water-bus created by comic artist, Matsumoto Reiji. 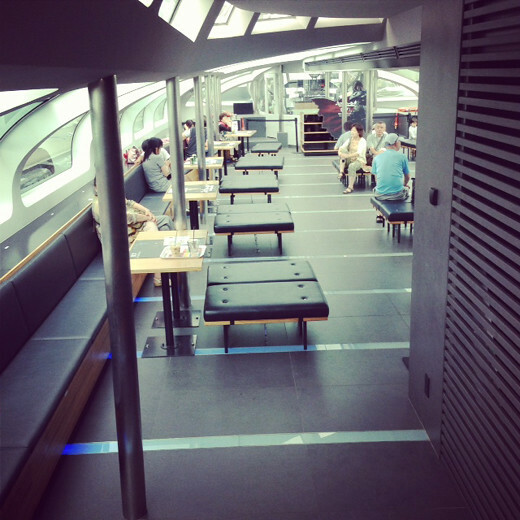 It just look like a cool spacecraft, and the lounge is spacious, it was a great riding! 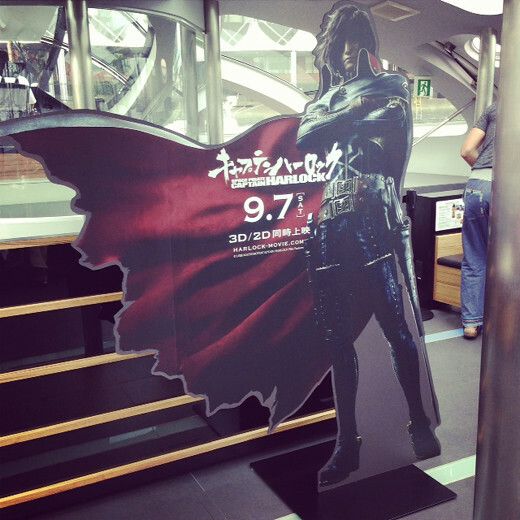 Captain Harlock’s movie promotion also conducting at the same time, it sims walking in Matsumoto Reiji’s animation world. 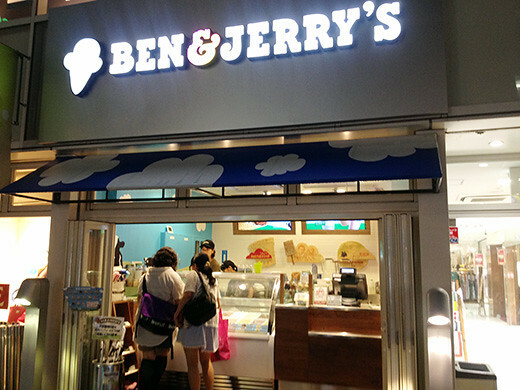 It only takes 20 minutes to ship to Odaiba, but I was really Enjoyed. 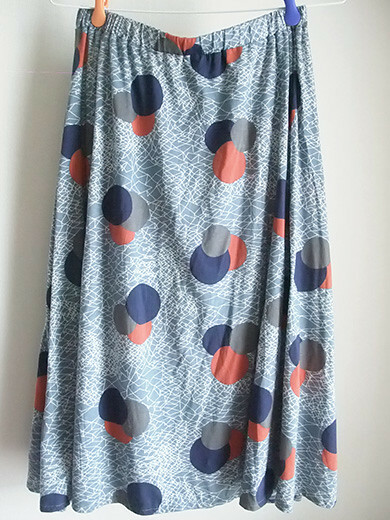 I got a ‘marimo’ pattern skirt from marble sud. 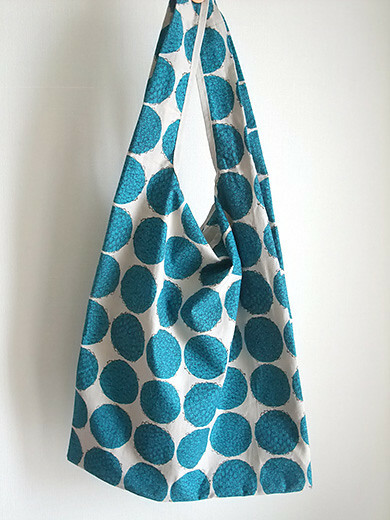 This fabric pattern was inspired from marimo (lake moss ball) of Lake Akan in Hokkaido. 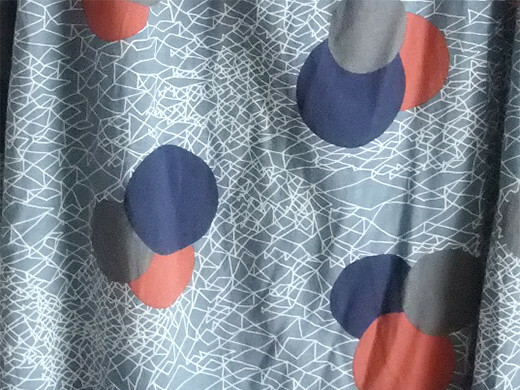 Colorful marimo floating on the smooth fabric. 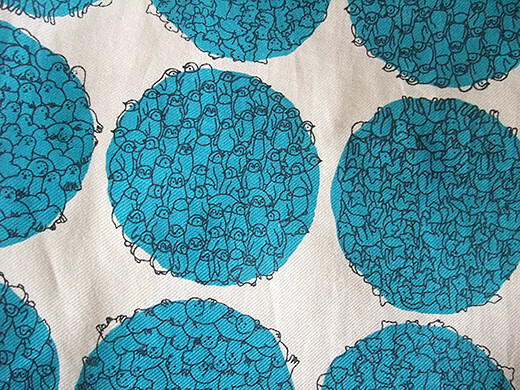 Some of lines around marimo looks like small fishes. 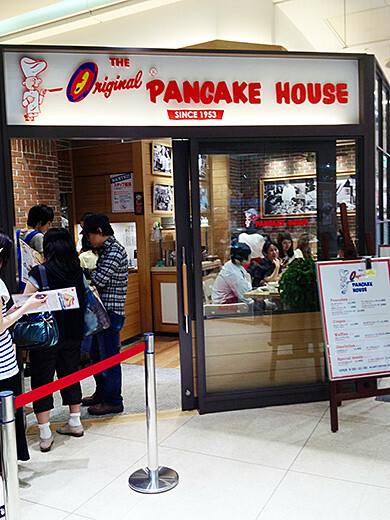 One of the most popular pancake shop in the United States “The Original PANCAKE HOUSE” Japan’s first shop was opened in Kichijoji. 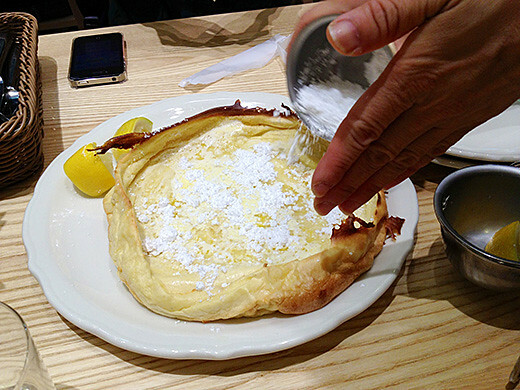 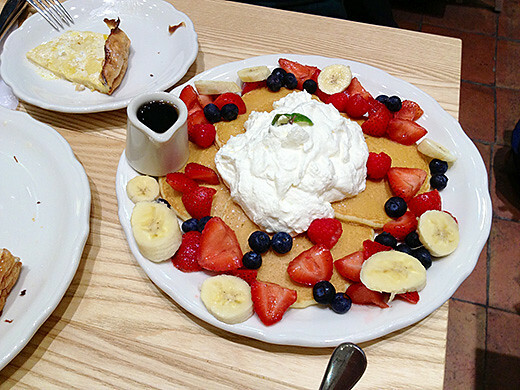 I ate DUTCH BABY which is the most favorite pancake in this shop and MIXIED FRUIT PANCAKES with a lot of fruits in it. 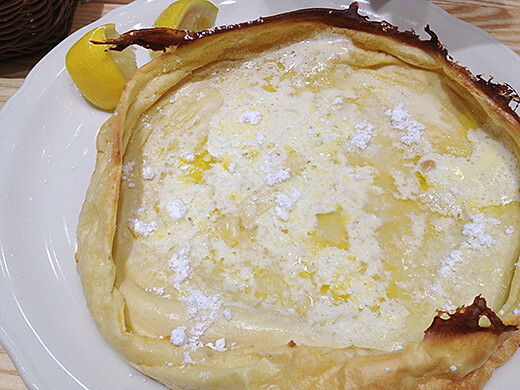 DUTCH BABY was soft, light, and very mild. 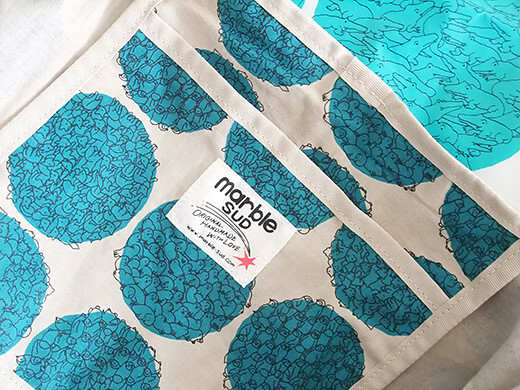 Cute big shopping bag from marble sud. 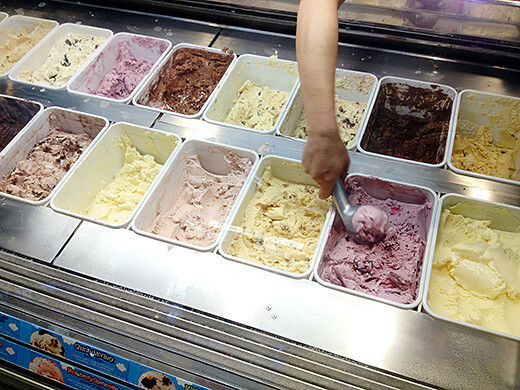 6 kind of fantasy ice land animals hiding in each circles. 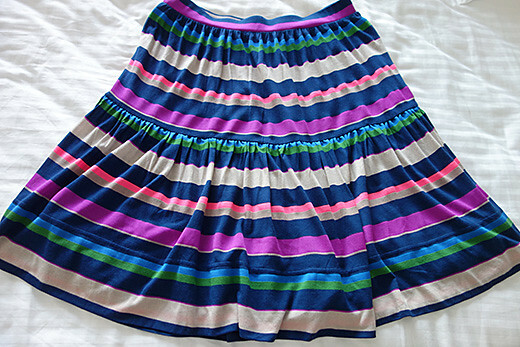 I got a smash stripe jersey skirt from Marc by Marc Jacobs. 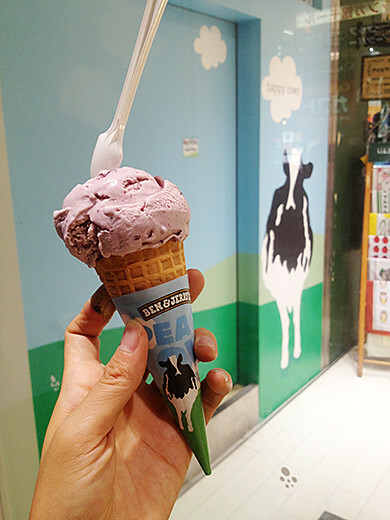 I love the jersey material that is very easy to wear. 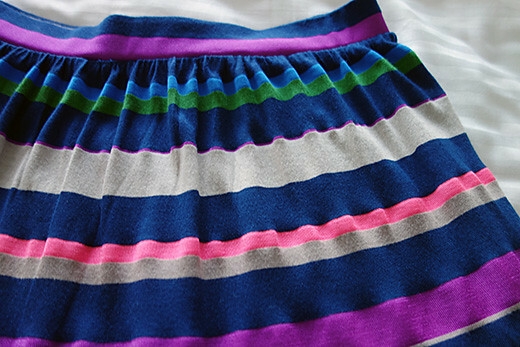 Also, I like all over horizontal beautiful indigo multi stripe print. 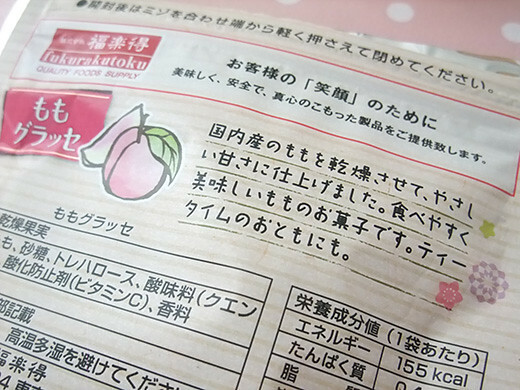 It is my little treasure to find a small bag of sweets at convenience stores on the way of go out. 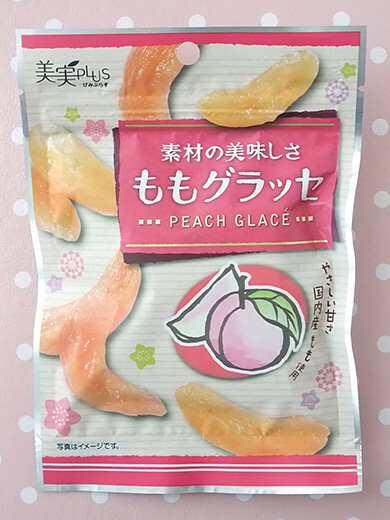 Today I got ‘Peach Glace’. 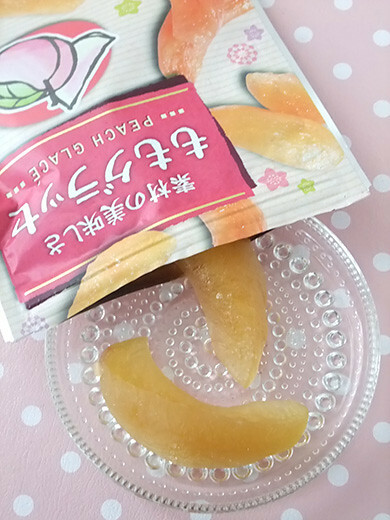 Soft and juicy Japanese white peach became a portable sweets.